You might have seen women wearing sindoor along the parting line of their hair. What is the first thing that comes to your mind? The first thing that might come to your mind when you see someone wearing sindoor is that she is married. Sindoor is also known as Vermillion. It is not merely a red colored powder; it has a deep significance in Hindu tradition. In traditional Hindu society, wearing sindoor is considered must for married women. It is a visible expression of their desire for their husbands' longer life. The sindoor, apart from being an auspicious adornment, also plays the role of a silent communicator. Therefore, widows are not allowed to wear it. Red color is considered the symbol of happiness and love in India. Most of the brides in India in almost every religion and culture are made to wear red color attire at the time of her wedding. The Indian bride holds great pride in wearing a sindoor, which adds to the beauty of a married woman. 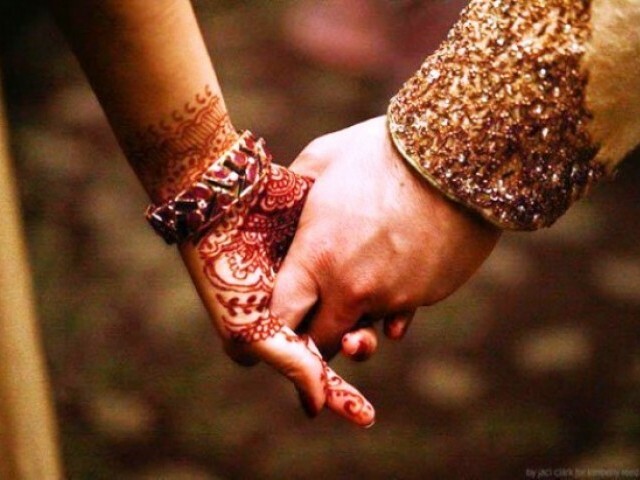 The sindoor is first applied to the woman by her husband on the day of her wedding. This ritual is one of the most important rituals on the wedding day, which marks end of the ceremonial procedure. After this, she must apply this every day herself in the parting of her hairline. The parting of hair is symbolic of river of red blood full of life. 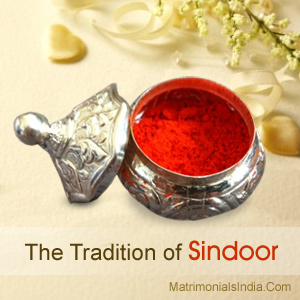 Sindoor is counted one of the essential components in solah shringaar, which is important for a Hindu married woman. Sindoor is said to complete the look of a married woman along with bindi, mangalsutra, mehndi, bangles etc. However, symbolizes that the life of the woman who is wearing it is full colors and happiness.